Now that Halloween 2016 is finally finished -- Aaaahhhhhhh -- our old pals over at hmv.com thought that it would be a jolly wicked idea to figure out what makes the people of Great Britain piss their pants. And to do this, they got together with Onepoll, market researchers extraordinaire, and conducted a survey to get the definitive take on the scariest scenes shot in a horror film from the last six decades. Another fact Onepoll figured out was that the seventies was the scariest decade of them all. Yes, the same decade that brought us strikes, recession, and Maggie Thatcher, was deemed the scariest, with horror movie scenes from that period accounting for 27% of all votes across more than 50 different films included in the poll. Flicks from the noughties had the second-highest share of the vote at 18%, closely followed by eighties horror with 17%. Despite Alfred Hitchcock’s Psycho and The Birds making the top 10 list, the sixties, famous for its hippy spirit and free love philosophy, emerged as the least creepy decade, with films from that era making up just 11% of all votes. People were also asked to describe what makes a great horror film. The top themes included a strong story, a well-crafted soundtrack, and plenty of shocks and surprises along the way. 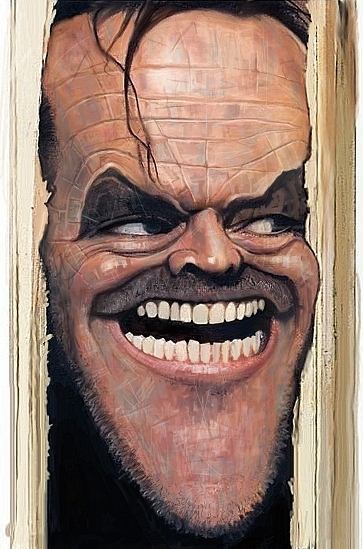 Heck, one person even suggested that the key to a great horror film is simply, “Jack Nicholson’s face”. Richard Hand, Professor of Media Practice at the University of East Anglia, offered his thoughts on the inner-workings of great horror cinema, stating: “A masterpiece like Psycho may be (in)famous for its shower scene, but the genius of the film is established long before that scene happens, in the slow tightening of its suspense, gradually unnerving the viewer with a simple but compelling narrative, a genuine ‘composition’ of excellent performances, editing, design, and, perhaps, most importantly of all, the soundtrack. 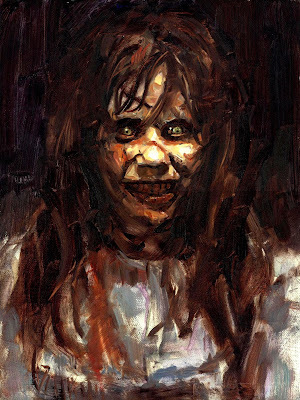 Indeed, it is often the sound of horror that can haunt us most thoroughly, worming its way deep beneath our skin and haunting our nightmares even when we turn away or cover our eyes”. Funnily enough, this theme of lingering dread was reflected in the results of the survey. 51% of people said they feel “fearful” after watching a scary film or TV show, and out of those people 64% were women and 36% were men. All of which begs the question, what are the most popular ways to stop feeling scared? 45.94% : Switch all the lights on. 41.78% : Watch a comedy show on telly. 18.71% : Go to bed. 18.61% : Read a book. 17.13% : Watch another film. The idea of simply going to bed to avoid film-induced fear may seem like an odd strategy to some, but this wasn’t the only surprising response from the 2,000 people polled. 3.4% said they would “go for a walk”, 2.8% said they would simply “drink a cup of chamomile tea”, and 4.75% of people preferred other antidotes, such as “cuddling”, “drinking wine”, and “checking the wardrobe to make sure nothing's hiding in there”. One person advocated a more matter-of-fact approach: “tell myself it's only a film and to grow up”, Ha! Now if you want to test your own knowledge on horror films and the like, then please click here to play a scary movie quiz created by those loveable aficionados at hmv.com.